Love and respect for all. That is the vital message renowned B.C. artist Roy Henry Vickers and historian Robert Budd say they are trying to convey with their newest work, Orca Chief. Love and respect for all. That is the vital message renowned B.C. 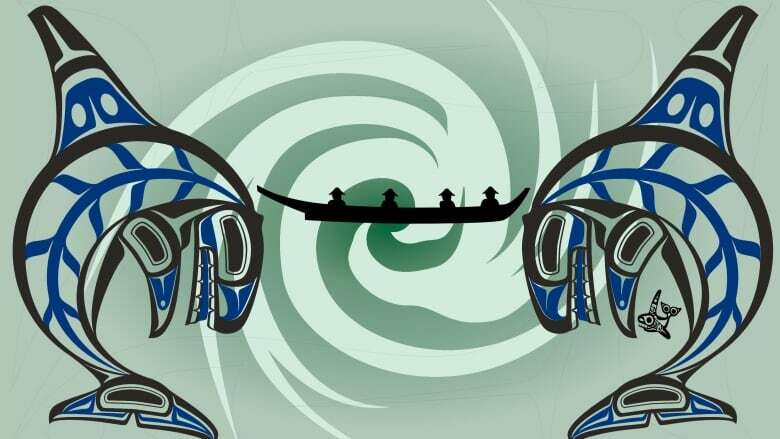 artist Roy Henry Vickers and historian Robert Budd say they are trying to convey with their newest work, Orca Chief, a book that features 19 original artworks from Vickers. The 69-year-old artist and Budd, who have collaborated before on two other national bestsellers, are in Vancouver on Saturday to promote their new work. Orca Chief is a visually and emotionally powerful tale that urges people to take only what they need from the environment. Vickers told North By Northwest's Sheryl MacKay that he first heard the story from an elder in Kitkatla, the Tsimshian village near Prince Rupert where he grew up. "'Well, I've read every one of those books and I want to tell you a story that can't be found in any book.'" The elder then recounted the tale of Orca Chief to Vickers. It tells the story of four hunters who head out on a canoe to harvest seaweed and salmon. Because they were tired and lazy, they threw their anchor overboard without thinking about how it could damage the sea floor or marine life. Vickers says Orca Chief is just one of the many northwest coast legends that has layers and layers of learning.